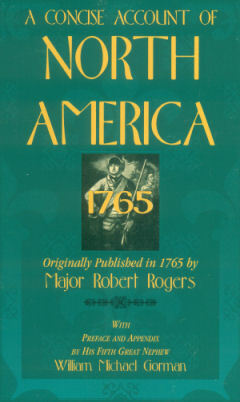 James Rogers was the father of the famous Major Robert Rogers, leader of Rogers Rangers in the period of the French and Indian War in colonial America. 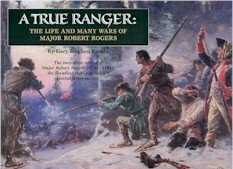 Robert also had three brothers who served in the Rangers, James Rogers, Richard Rogers and John Rogers. Robert had advanced to the rank of Lt Col of the Queens Rangers, James to Lt Col of the Kings Rangers, Richard died a Captain of small pox in 1757 and it is unknown what became of John but he may have traveled to Charleston, South Carolina with Robert in 1762 and stayed in the South. This web site lists the known descendants of their father James Rogers who reportedly came from Ireland in 1729. These Rangers are the namesake of today's US Army Rangers and Green Berets, their fighting tactics are key to today's elite forces. 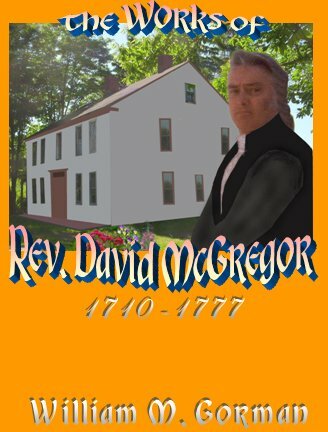 The Rogers family settled in what is now Dunbarton, New Hampshire where James named the area of the Great Meadow, Montalona for his old home near Londonderry, Ireland. In 2005 I registered Montalona.com for the new home of this web site. The cellar site of the Rogers home is located on Robert Rogers Rd. approximately 1/2 mile west of Montalona Rd. 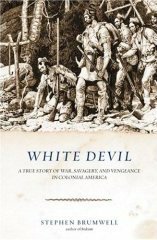 This site started in 2004 by a 5th great grandson of Col James Rogers U.E. The Lord Dorchester in the proclamation of 1789 granted all descents, male and female, of persons who lived in colonial America prior to the Revolution and fought for the Royal Standard in the American Revolution, the right to use the initials U.E. after their name. U.E. stands for Unity of the Empire and is sometimes referred to as UEL or United Empire Loyalists which is an association of U.E. members. In this site all direct descendants of Col James Rogers have a U.E. after their name, also note descendants that did not fight for the crown and remained in America do not carry this title. Some descendant's names are also followed by S.A.R. or D.A.R. signifying those who are eligible for membership in the Sons or Daughters of the American Revolution. Books about the Rogers Family are at the bottom of each page. 8 pages front matter, original book condensed to 180 pages in modern typeset, 18 pages of appendix. This web site supported by sales of books and you contributions. By: Robert J. Rogers U.E. 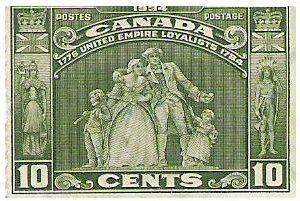 Background image is from 1934 Canadian United Empire Loyalist postage Stamp, representing the migration of American loyalist to Canada. The contents of this site are a work in progress, some lines are incomplete and some may contain errors. There may be corrections and additions in the works that are not yet posted. I cannot make instant massive corrections as some people may wish. Updating large amounts of information takes some time and I am doing my best to keep the site up to date. This site is a part time venture for me and I do maintain a regular 40 hour a week job. I also have other projects I am working on that have an income, while this site has none, thank you for your donations!. If you do find an error please let me know of it.